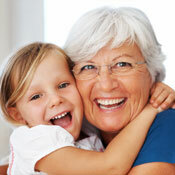 Smiles Are Us offers a comprehensive range of dental services for all ages and needs. Are you looking to update your smile, fix those crooked teeth, throw away that old denture or is it your first dental visit to a dentist… then we are here to look after you! We understand that for many people visiting the dentist can be a daunting experience especially if you have had a bad experience in the past. We use the most appropriate technologies available today to create a comfortable, pain free experience. Call us today for a consultation and our experienced and friendly dentists will guide you through the best options for your particular needs.